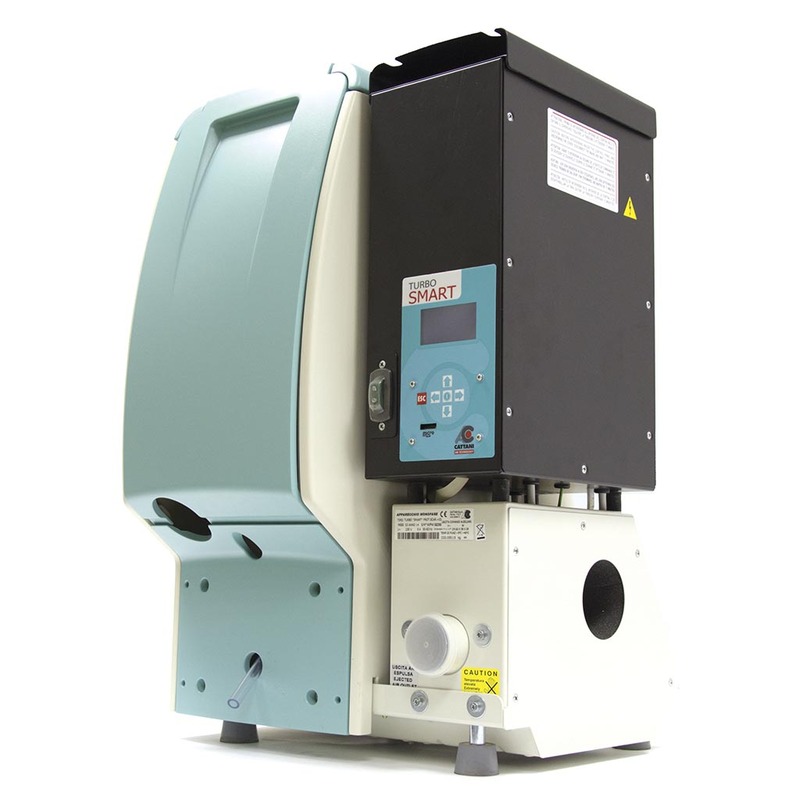 Turbo Smart is a powerful, variable speed suction system, with high airflow, for use by up to four surgeries simultaneously. It monitors the vacuum level and automatically responds to any change in use from the surgeries. When a suction tip is opened, Turbo Smart speeds up to meet the extra demand. When a suction tip is closed, it slows down. 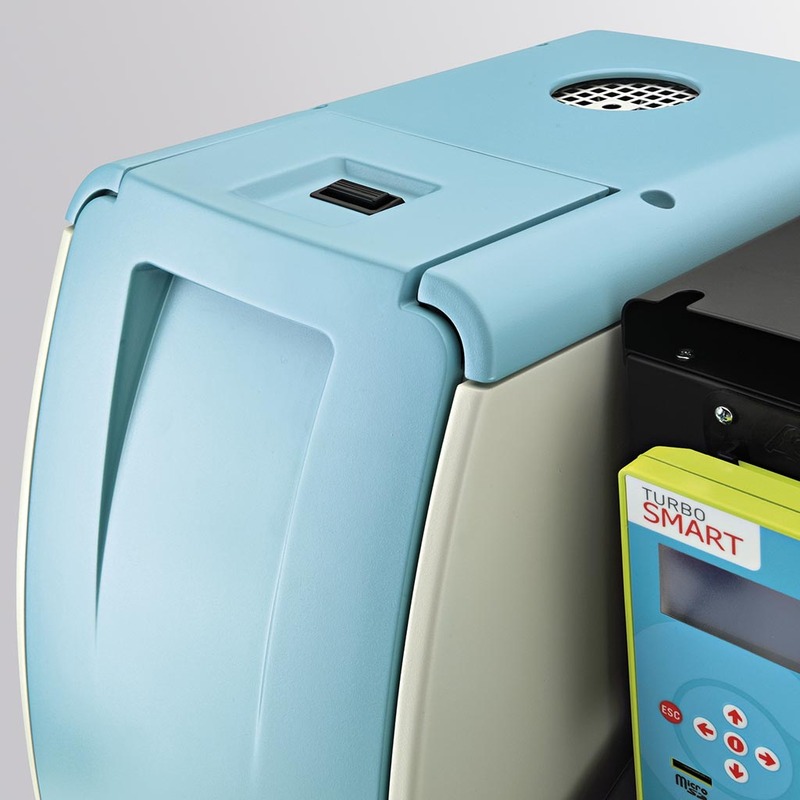 The Turbo Smart system adapts its speed to cope with extra demand and when other surgeries are using the unit. 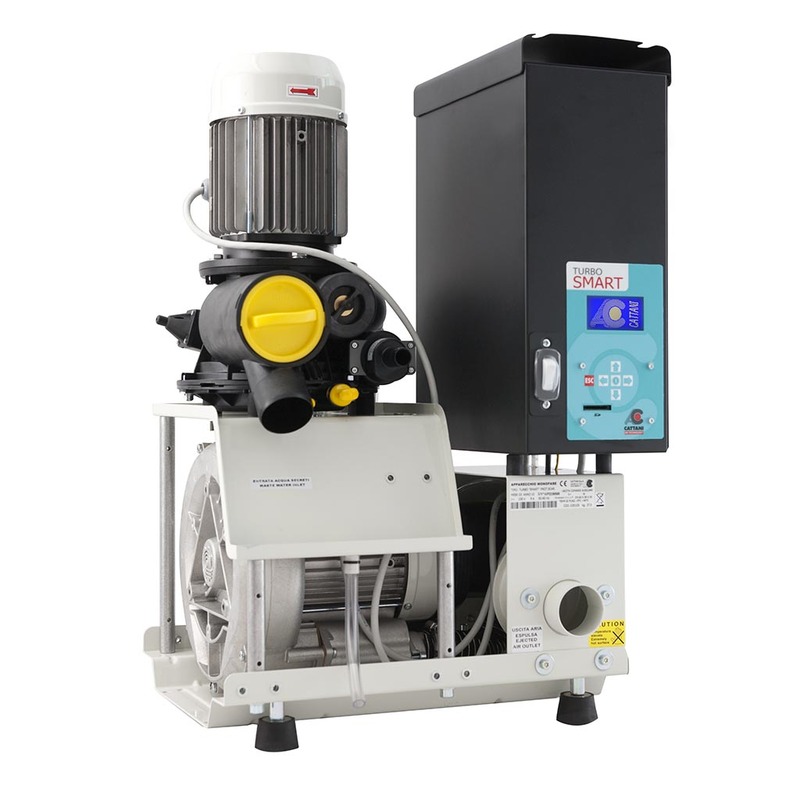 The result is efficient and more consistent suction. 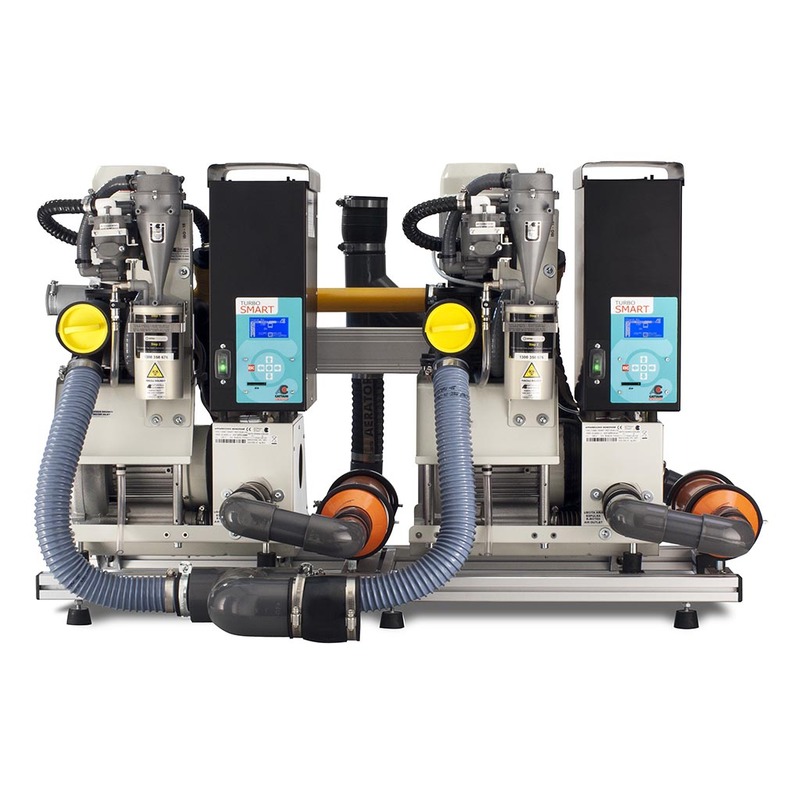 One central separator negates the need for individual separator tanks in each surgery, thereby reducing costs, maintenance and cleaning. Turbo Smart’s ISO-18 Hydrocyclone is an easy to use amalgam retention system, designed specifically for this powerful and responsive machine. 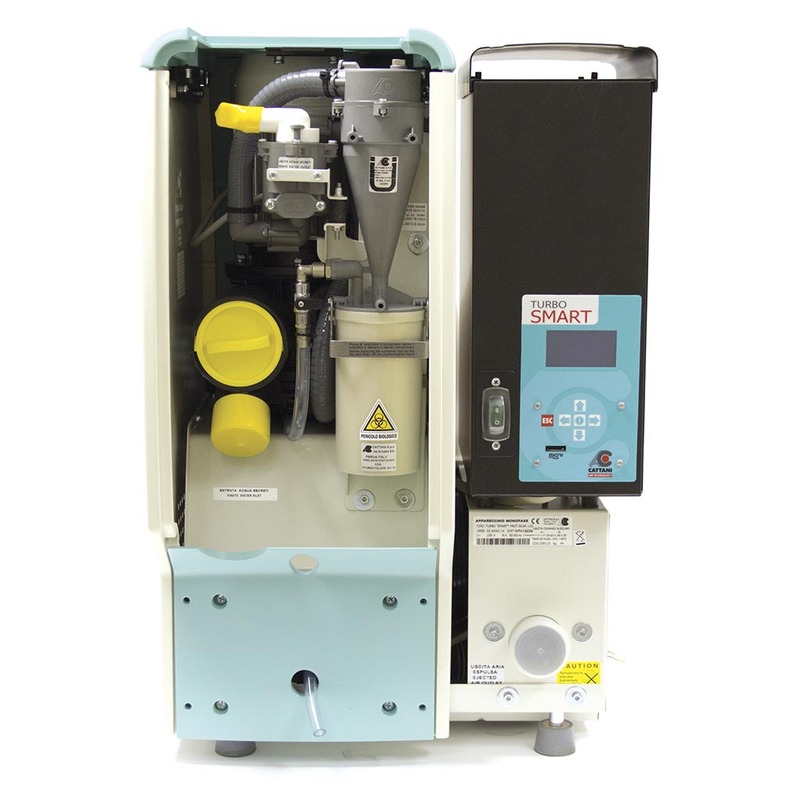 This patented, innovative and intelligent system has a multi-function digital display that supplies information on vacuum level, temperature, servicing, amalgam separation and fault diagnosis. A range of accessories is also available for the Turbo Smart, please take a look at our Price List for further information. All Turbo Smart suction systems come complete with silencer and installation kit, all Turbo Smart systems have a 3 year warranty* (*subject to Terms and Conditions of servicing schedule).